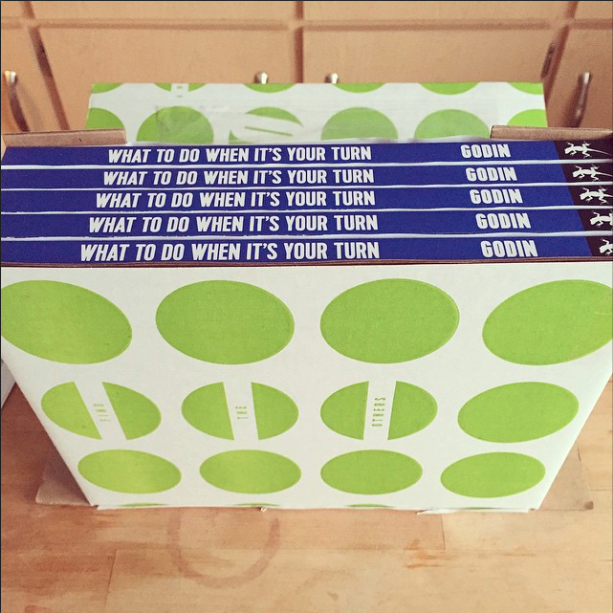 Seth Godin's "Your Turn Challenge"
I want to write, but I'm scared. So on top of everything else, I'm making a blog post inspired by Winnie Kao's "Your Turn Challenge" (and Seth Godin's newest book "What to Do When it's Your Turn"). After a long, cold, confusing day, the last thing I feel like doing is writing some sort of thought-provoking blog post. It would be far easier to kick back with Netflix and Instagram for the next two hours, and then go to bed. I’ve spent most of my life as a dabbler – a mind-changer. Couldn’t seem to ‘find my calling’. Couldn’t stay focused. Then, a couple years ago, I read The War of Art and everything changed. I realized that I was scared; scared of hard work, of discomfort, of caring for something and being wrong, of failure, embarrassment, rejection, heartbreak, scared that people would find out I wasn’t the real deal, and that ultimately I would never find love… My ovaries would dry up and I’d die alone, in an apartment full of cats. That may sound overly dramatic, but it’s the truth (although what’s so wrong with cats, really??). Somewhere along the way I realized that I’m never going to stop being afraid of rejection and failure, and that’s okay! It takes a few (or many) rejections and failures to have some success… or at least an adventure. And I do like adventure. A belly-dance teacher once told me, “If you stop coming to class you’ll never learn to shimmy – you have to show up and you have to try." So here’s to practicing new skills: showing up, putting my booty on the line, and accepting the fear factor!